Hello world. Everyone's gonna know my name. Its Onyx and I'm a beautiful, fierce, female black kitty. I'm not afraid to let the claws come out and lead the charge. 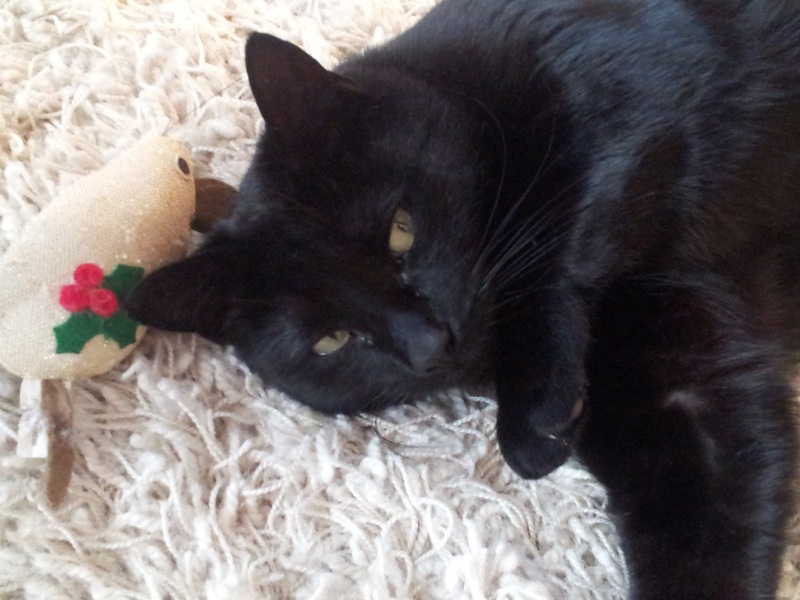 I even have my own blog segment on my human mom's blog (which stars me anyway! ): Onyx Bites. I also scratch and growl. I don't take anything from anybody. That includes dogs! I am never second banana. I like Mick, sure. He's my big bro. But I will never let him forget that I was here first! Mom's been a bit busy and hasn't been able to post in awhile, so I offered to write a little update piece for her in the meantime. The mailbox has seen lots of action lately. And she wants to share some new products with you when she is done testing them and I approve them. They need my Paw Print of approval before it goes on here. My mommy brought home a tonne of loot from Sephora and she was excited to write about her first 'haul'. I pouted a little because she didn't get anything for me! No gourmet tuna, no chef prepared treats! Just a bunch of stuff my mommy is so excited to share with you. Lots of new products. Like lipsticks and bb creams and nail polish. How does this bow look on me? Awww Onyx is so cute!! He makes me think of my Napoleon! I like this kind of post ! Huhu ! Of course your bow suits you well ! LOL!!! 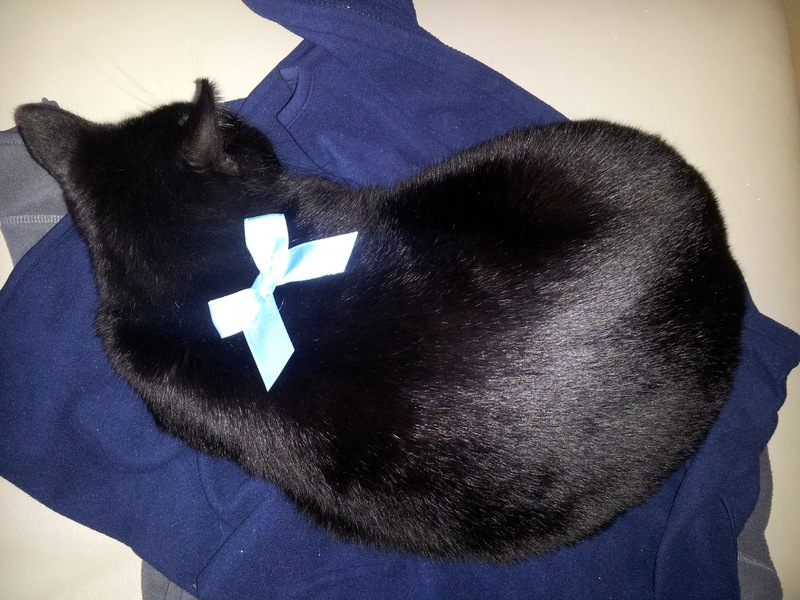 Awwww, the bow looks beautiful on you Onyx! What a pretty boy you are! Mummy will get you treats too, don't you worry! I'm A- Haulin' Away! First ever haul!